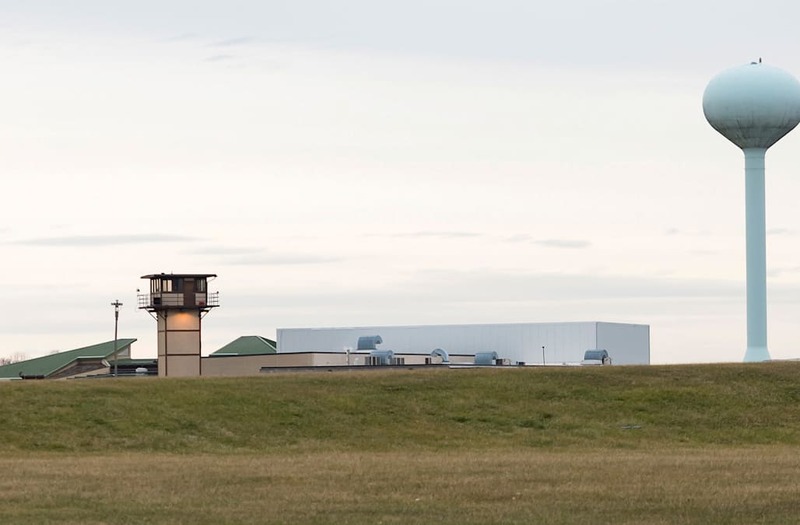 (Reuters) - One male prison officer is dead and a female colleague has been hospitalized after they were held hostage overnight by inmates at a prison in Delaware, state officials said on Thursday. The hostages were removed by police at about 5 a.m. local time from James T. Vaughn Correctional Center, a men's prison in the town of Smyrna, where an uprising began midday on Wednesday, the state Department of Correction said in a statement. This is a developing story. Please check back for updates. The previous report is below. (Reuters) - Inmates at a Delaware prison were still holding two correctional staff members hostage on Wednesday night after releasing two others during an uprising at the facility, state officials said. "We've put all the resources that we have to bear to get our employees out," Delaware Governor John Carney told a news conference on Wednesday evening. The first officer was released by inmates at the prison, about 40 miles (64 km) south of Wilmington, on Wednesday afternoon and inmates released the second officer in the evening, state officials said. The second officer's condition was not immediately known. "Working with the Department of Correction, the FBI and the Delaware State Police will continue negotiations to obtain a peaceful and safe resolution," Bartz said on Wednesday afternoon. Robert Coupe, secretary of the Delaware Department of Safety and Homeland Security, said later: "Once this matter is resolved safely, then that will be the time to talk." The men's prison holds about 2,500 inmates, including some sentenced to the death penalty, according to the prison's website.